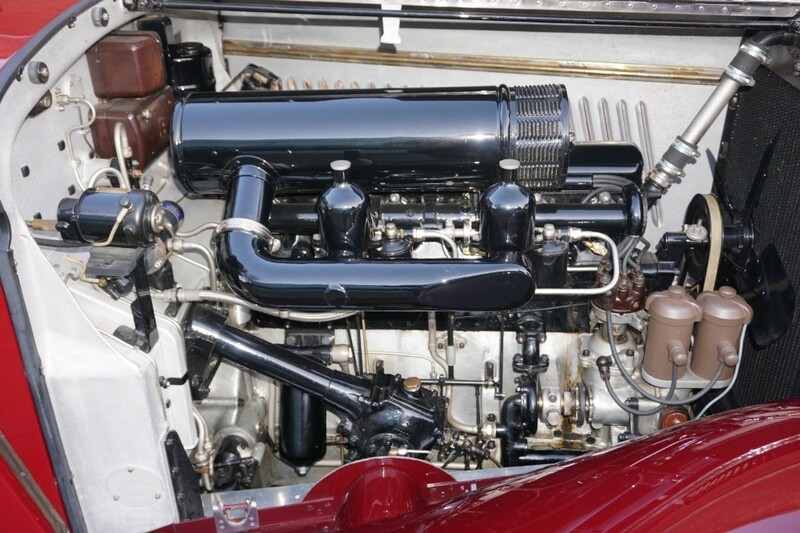 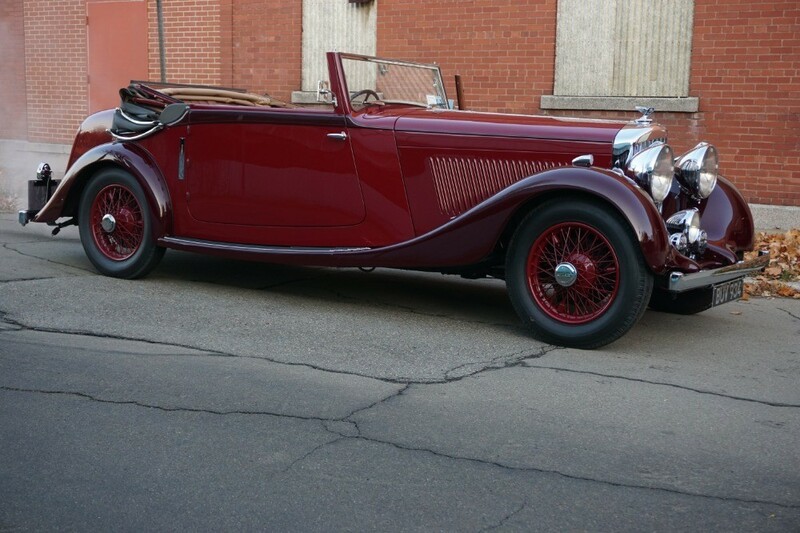 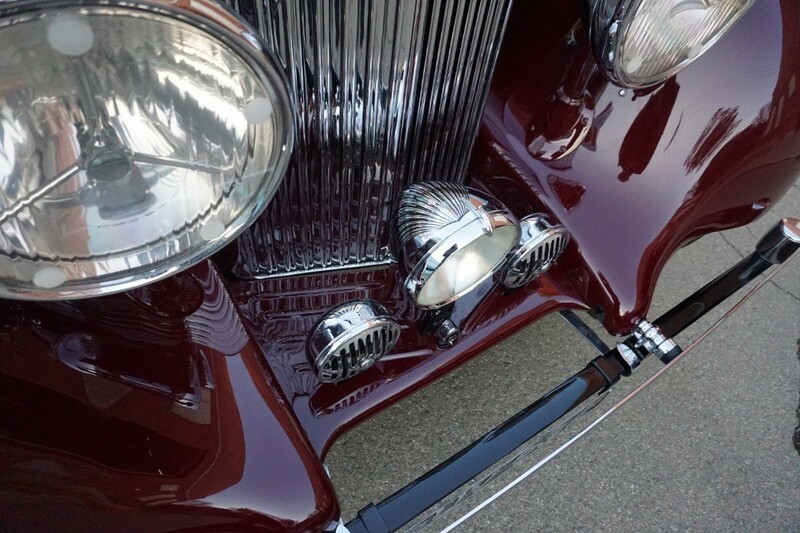 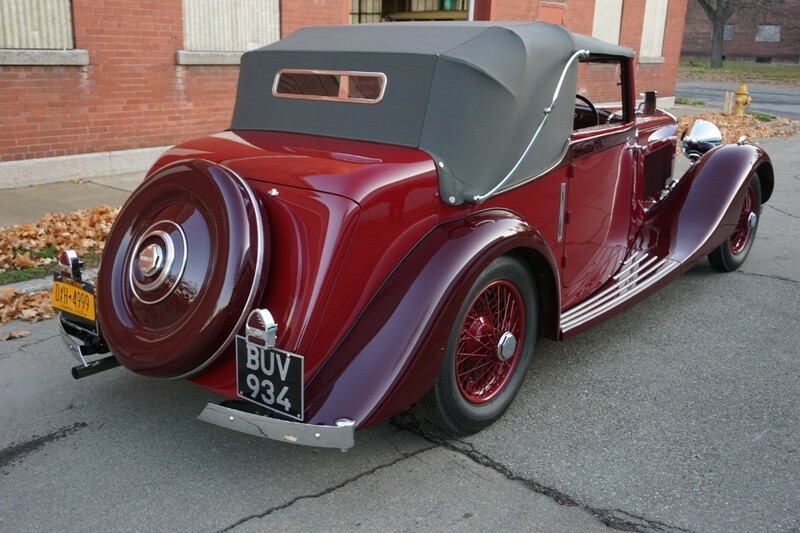 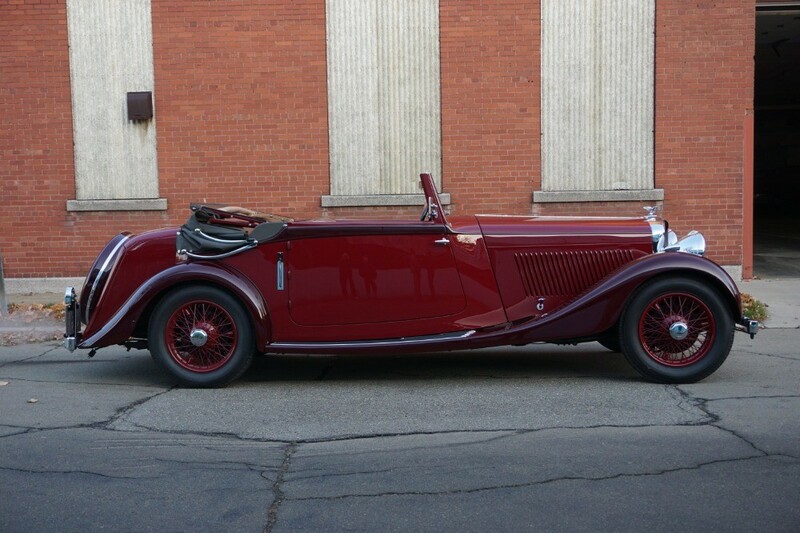 An absolutely stunning and meticulously restored Derby Bentley, this striking 3 1/2 Litre Park Ward Drophead Coupe is as captivating as a fine piece of jewelry and shows like new. 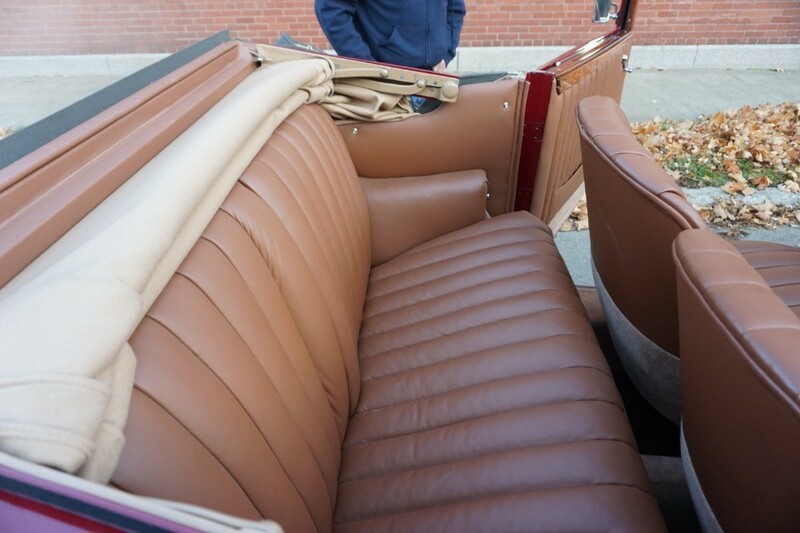 According to factory records provided by the Rolls-Royce Foundation, the Park Ward body, numbered A158, was originally finished just as it presents today in two shades of red with brown leather upholstery and a grey canvas top. 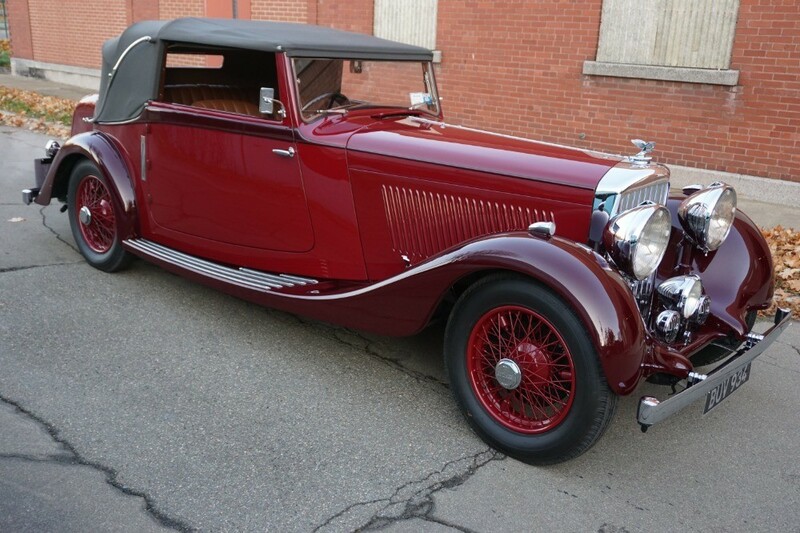 Completed in early 2007, the Bentley Drophead Coupe made its debut at the prestigious Amelia Island Concours dElegance in March, where it earned an Amelia Award in the Bentley Pre-War Class. 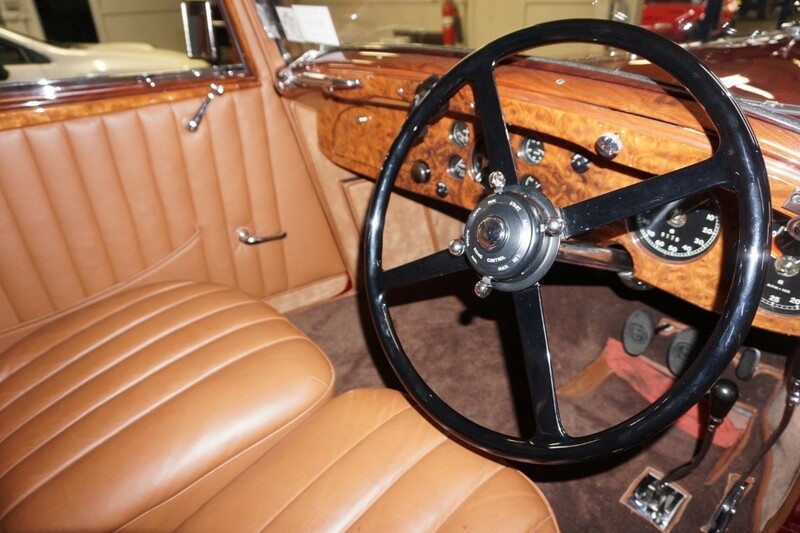 Since its successful showing in Florida, B66DG has participated in a variety of Bentley Drivers Club and Rolls-Royce Owners Club events. 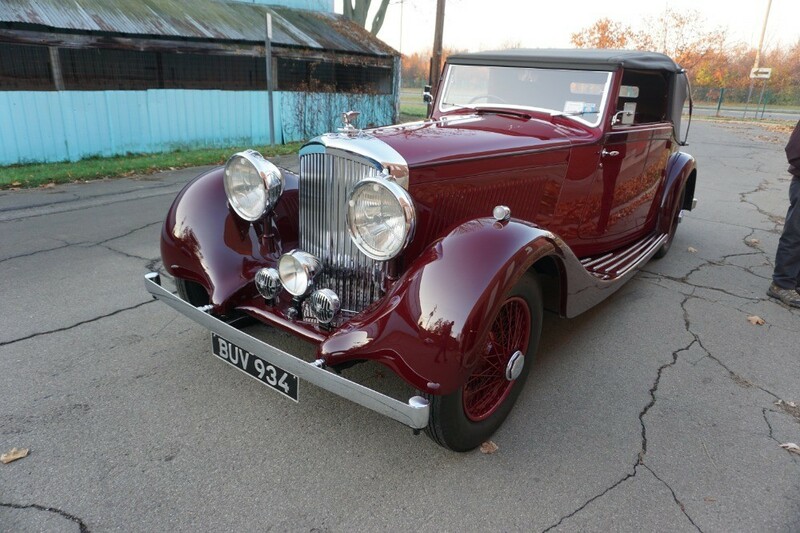 As would be expected of such a superb Derby Bentley, various road and hand tools, technical manuals, and a thorough file containing the aforementioned restoration invoices and historical records accompany the sale of B66DG. 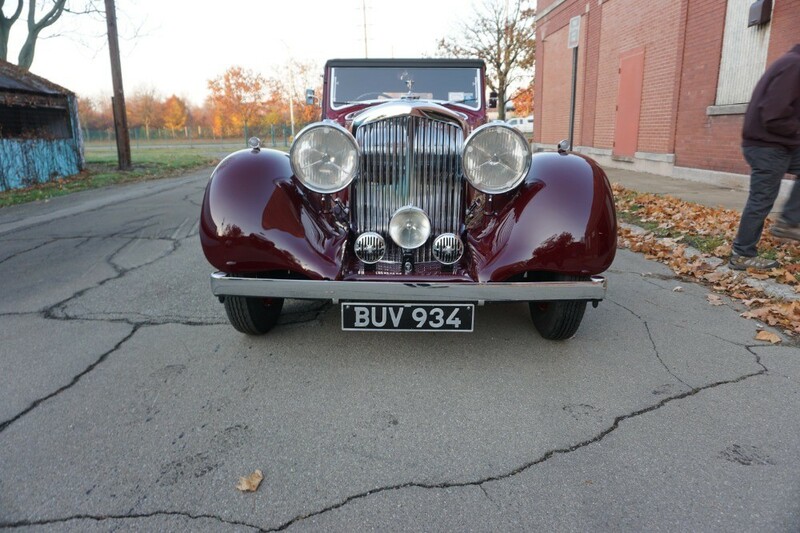 Today, the Bentley continues to present beautifully and would be an ideal candidate for both concours delegance and open touring.